UPPDATED with presentations given during the seminar in the Agenda below. The signatory parties of the Nansen-Tutu Centre joint venture behind the Norwegian Ambassador to South Africa HE Trine Skymoen (left) and the South African Ambassador to Norway HE Queen Ann.The Nansen-Tutu Center for Marine Environmental Research (NTC) was established as a joint venture between institutional partners from South Africa, Norway and USA in 2010. 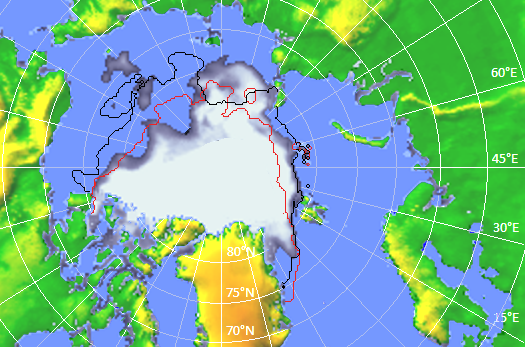 Nansen Center scientists in Bergen and St. Petersburg have in two resent papers in the Tellus addressed the climatic temperature amplification in the Arctic, analysing respectively surface air temperature records and atmospheric modelling simulations results. The Seventh Summer Research School of Nansen-Zhu International Research Centre (NZC) took place during October 10-14th at China University of Geosciences in WuHan, China. Particpants of the 7th Nansen-Zhu Centre summer school on Climate Teleconnectections and Predictions.The main theme of the summer school is the ‘Climate Teleconnections and Predictions’. The student and faculty participants of the PhD and Post-doc wither school in operational oceanography and ocean modelling at INCOIS in Hyderabad.The Indo-Norwegian winter school Operational Oceanography: Indian Ocean circulation and sea level variation was to day opened at Indian National Centre for Ocean Information Services (INCOIS) in Hyderabad. DAPPER is a set of templates for benchmarking the performance of data assimilation (DA) methods. The tests provide experimental support and guidance for new developments in DA. Figur 1: Utbredelse og konsentrasjon av sjøisen i Arktis den 10. september 2016. 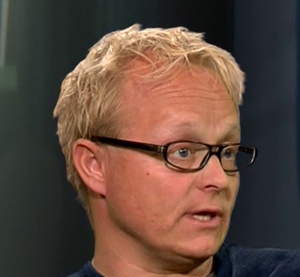 Tilsvarende er utbredelsen av sjøisen i september 2015 (sort kurve) og i 2012 (rød kurve) markert. Kilde: A. Vines, NERSC og www.arctic-roos.org. 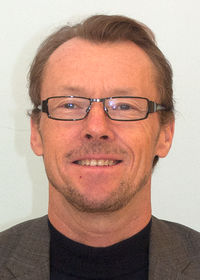 The Board of the Nansen Center has after an open application and thorough evaluation process appointed Dr Sebastian H. Mernild (43) as the Managing director. Dr. Sebastian H. Mernild. : Source: http://www.mernild.comIn agreement with Dr. Mernild he will start as the new Director of the Center from 1st December 2016. 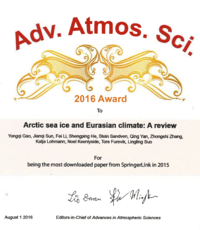 The paper Arctic sea ice and Eurasian climate: A Review was the most downloaded paper published in Advances in Atmospheric Sciences at SpingerLink in 2015. This review paper addressing the linkages between the climate in Arctic and in Europe, North America and Asia has been downloaded more that 1600 times. GC Rieber stipendiat Tobias Wolf presenterer resultatene fra studien for oppdragsgiver og andre framøtte på Nansensenteret.Nansensenteret har avsluttet en studie for Bergen og Omland havnevesen (BOH). Studien omfatter statistisk analyse av data og numerisk modellering av forholdene i Bergen sentrum som fører til dårlig luftkvalitet om vinteren og sammenlignet disse med situasjoner med mindre luftforurensning. 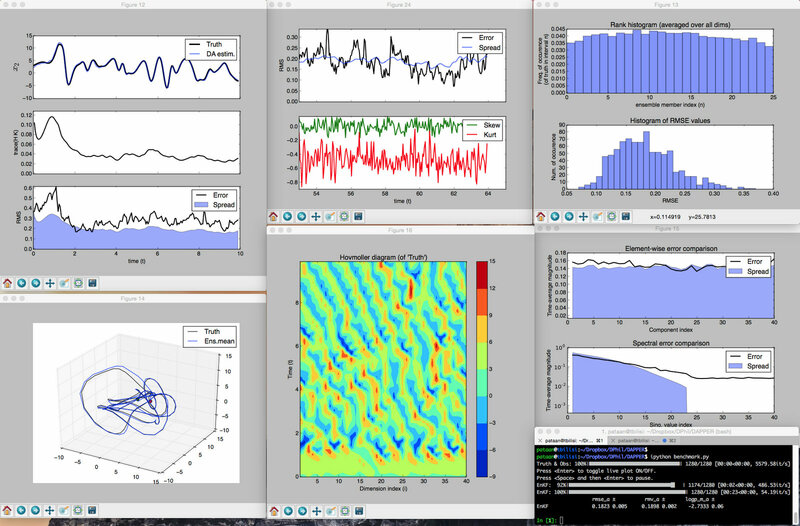 NERSC is hosting a two-days training workshop in the framework of the European SWARP project, on waves and ice forecasting in the Marginal Ice Zone. Deadline for registration: Friday 16th Sept. 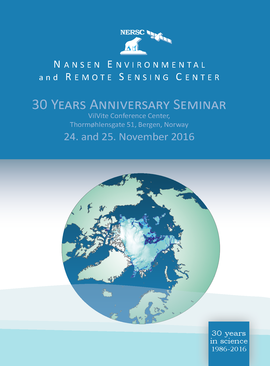 The workshop is free and open to current and future users of operational sea ice and wave forecast services with a particular interest in navigation close to the ice edge or into the Marginal Ice Zone. Etter nesten 3 uker i arktisk farvann har KV Svalbard gjennomført alle planlagte forskningsoppgaver for det norsk finansierte UNDER-ICE prosjektet. Alle rigger som skulle opp er nå kommet ombord. Toktleder Hanne Sagen ved Nansen Senter for Miljø og Fjernmåling (NERSC) er særdeles fornøyd med det. - Det er fantastisk at alt har gått så bra. Etter 2 år i sjøen så fikk vi alle instrumenter med oss hele tilbake. 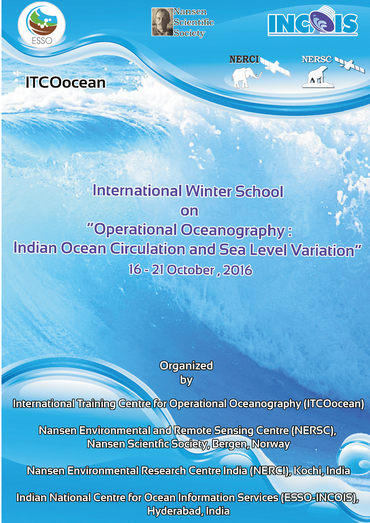 Indo-Norwegian research school in Operational OceanographyThe winter school Operational Oceanography: Indian Ocean circulation and sea level variation is organized at ESSO-Indian National Centre for Ocean Information Services (INCOIS) in Hyderabad during 16-21 October 2016. 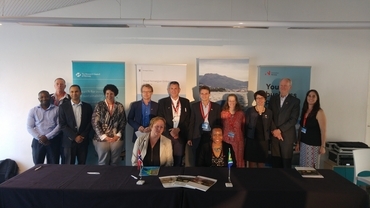 On June 21st and 22nd the joint European Climate Research Alliance (ECRA)/BCCR workshop on Sea Level Change and Coastal Impacts was held in Bergen. The purpose of this workshop was to bring together researchers working on coastal sea level changes, impacts and adaptation. 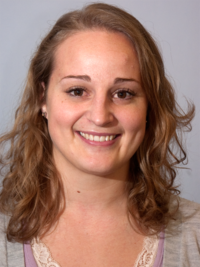 Lea Svendsen defended her doctoral thesis Impact of Atlantic multi-decadal variability on the Indo-Pacific and Northern Hemisphere climate at the Nansen Center and Geophysical Institute, University of Bergen to day.